Please join us for SVT’s upcoming Monthly Potluck. We welcome all members so whether you’ve never been to a potluck or are a long-time attendee, we hope to see you there! Bring a dish or drink to share or just bring yourself. For the first hour, we’ll do introductions and share food. The second hour will be a presenter or facilitated discussion. Our Weed Management Intensive will give participants a three-season view of weed management at multiple scales and techniques ranging from hand cultivation to tractor cultivation. The intensive will be divided into three workshops, each tackling the following topics through hands-on demonstrations with farmer-teachers. Participants can choose to participate in the full series or sign up for individual workshops. Current SnoValley Tilth members will receive a code for discounted prices. 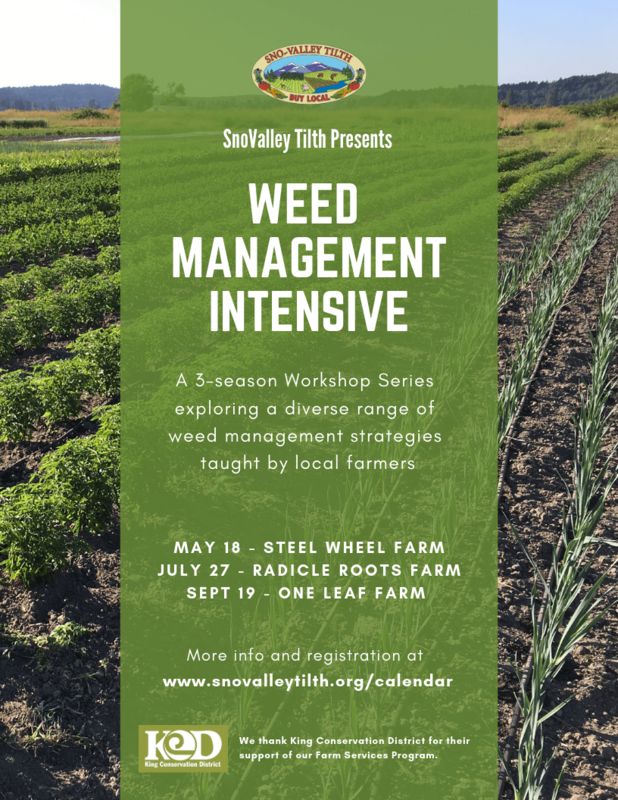 SnoValley Tilth’s “Technical Intensives” are courses intended to provide farmers with peer-to-peer mentorship and to lift up the expertise of local farmers. We also have a Greenhouse Management Intensive that you can find more info about here. 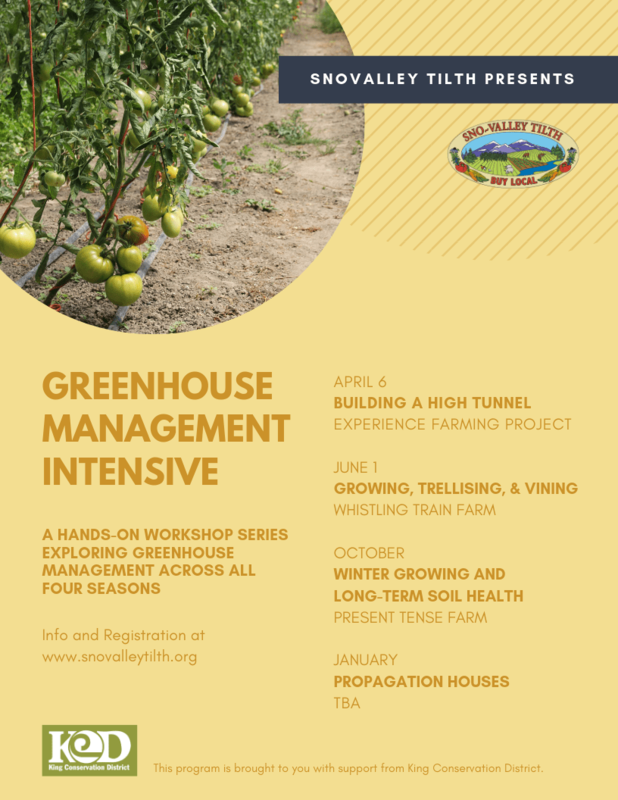 Our Greenhouse Management Intensive will give participants a four-season view of how to most effectively utilize greenhouses. The intensive will be divided into four workshops, each tackling the following topics through hands-on demonstrations with farmer teachers. SnoValley Tilth’s “Technical Intensives” are courses intended to provide farmers with peer-to-peer mentorship and to lift up the expertise of local farmers. We also have a Weed Management Intensive that you can find more info about here.